Over the last decade, knee replacement surgery has become a popular and safe option for patients who have end-stage arthritis of the knee. When pain has aggravated to such an extent that all other treatment modalities fail, knee replacement can help you lead a pain-free and active life. However, sometimes the cost of a knee replacement procedure may deter patients from surgery. The knee replacement cost can vary depending on factors like doctor’s fee, hospital charges, and the choice of implant, naming just a few. The doctor may suggest replacement of one knee (unilateral) or both the knees (bilateral knee replacement). A bilateral knee replacement can be carried out in a single sitting (simultaneous) or staged, based on the patient’s health and the condition of the joints. In a staged procedure, both knee replacements are performed as two separate surgical events several months apart. In such procedures, patients need to stay in the hospital twice and have to go through rehabilitation, after each surgery. Hence the overall expenditure for knee replacement procedure automatically increases. It is helpful for patients to have detailed information of pre-operative and post-operative costs including medication and physiotherapy, beforehand. Financial aspects of knee replacements are an important consideration for many patients. Thus, it is good to have an estimate of various costs incurred in a total knee replacement. In this article, we cover the approximate cost of a total knee replacement and provide a range for both unilateral and bilateral knee replacement surgeries. Please note that this information can only be used as a guide, as the actual cost may vary based on individuals. In some cases, certain tests may not be mandatory. Some patients may be advised for additional investigations based on their medical history. The approximate total cost for pre-op tests can be expected between 6000 INR to 15000 INR. Dental infections need to be treated before surgery to avoid post-surgical infections due to bacteria entering your bloodstream from teeth and gums. Availing such treatments in a dental clinic may cost less than a hospital. It may be required to adjust your prescription medications before surgery. Your surgeon may prescribe certain new drugs, such as anticoagulants and antibiotics, to make the surgery proceed smoothly. Consumables (dressings) and cost of crutches. Post-surgery hospitalization for patient and companion, if any. Many patients experience a wide variation among hospitals in their quoted costs for knee replacement surgery. It may be confusing for an average patient to come across widely different prices for the same procedure; but usually, there are genuine reasons for these variations. A doctor charges for expertise and skill. A doctor who is experienced and renowned would be most sought after. Medical research has proven that when a knee replacement is performed by a surgeon who on an average operates a minimum of 50 TKR (total knee replacement) patients in a year, his complication rate is just one-third. It is difficult for many patients to afford the most reputed specialist in town. What can a patient do in such situations? These patients need to opt for a surgeon who charges less fee. It is possible to find an equally qualified and experienced specialist who operates at a lesser fee. The disadvantage of visiting a doctor who has too much patient inflow is that he or she may be too busy to answer all your queries. Patients’ contact point may mostly be the doctor’s subordinate. In such a scenario, patients feel concerned and unable to rely on the doctor performing the surgery. Furthermore, some of these doctors may not be able to give enough time to all his patients. Sometimes, they may ask their junior to operate on certain cases. Although this is not a cause of concern since junior doctors always perform surgeries under supervision; however, most patients prefer to be operated by a surgeon who is experienced. Patients can opt for a specialist having adequate experience and expertise but fewer patients as compared to a very renowned surgeon. Apart from providing the best care and more attention to each patient, a doctor who has less patient inflow charges less. When a surgeon takes the time to answer all relevant queries, patients feel less concerned and are more confident to undergo surgery. Technology: The choice of the implant can cause a significant difference in the overall expenditure for surgery. 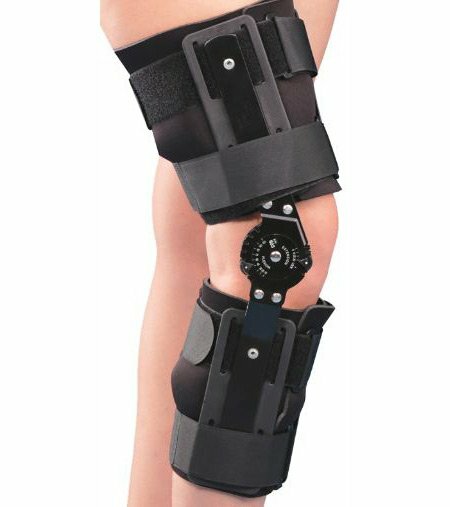 For instance, when one chooses a High-flex knee implant (by Zimmer) over P.F.C. Sigma (Depuy Synthes-J&J), the cost can increase by at least 30,000 rupees. A PFC implant allows for flexion of 110 degrees, which may be enough for an older adult for routine activities. Currently, there are more advanced options available for example; custom 3-D fitted implants. Ultimately, patient’s post-surgery lifestyle plays a crucial role in choosing the right implant. Material: Knee implants vary based on the material. Oxinium implants from Smith & Nephew are said to have better longevity and are higher priced than other alternatives. Other commonly used implants are Cobalt-Chromium implants that have been successfully used by surgeons since decades. They cost less than Oxinium implants. Manufacturer: The doctor you have consulted may specialize in using implants from a particular manufacturer. It may be helpful to inquire about the choice of implant and how their costs vary. Most patients choose implants from multinational companies like Stryker, Zimmer, Smith & Nephew, Depuy (Johnson & Johnson), and Biomet. Apart from surgeon’s fee and implant cost, there are additional expenses involved in knee replacements which add up to a significant number. These include the cost of hospitalization, type of ward selected for patient’s stay, and nursing staff or attendant hired (shared or full-time). Depending on the budget, it may be possible to select a hospital which provides the desired combination of services. There may be some unanticipated costs. An additional hospital stay or admission to the ICU in the event of post-surgical complication may increase the overall expenditure. Just like any other surgery, there are chances of post-surgical complications in knee replacement procedures. For instance, post-surgical infection, pulmonary embolism, deep vein thrombosis (DVT), and other minor issues like delayed wound healing. These require immediate treatment to ensure implant success, which again leads to additional expense. Another factor that adds up to the cost is blood transfusion, which may become necessary in certain cases. Variation in cost can also appear based on whether the patient had been administered general or regional anesthesia (spinal or epidural), during surgery. The choice of hospital is an important criterion in determining the overall expenditure. Prices are higher in high-end corporate hospitals. The same surgeon may operate at a lesser price in another hospital. The most important variable is the quality of the operation theatre; good infection control practices reduce the chance of infection, which is one of the most dreaded complications of knee replacement. Knee replacement costs are much lower in government and charitable hospitals. Families below the poverty line should approach these organizations for such surgeries. Recovery period varies among patients. The post-surgery physiotherapy plays an important role and can extend from six to twelve weeks. On an average, home-based physiotherapy sessions may incur expenses of 8000 to 15000 INR. It is important that one undergoes proper rehabilitation, so it is best to account for this expenditure too. Periodic follow-ups by the surgeon are mandatory post-surgery. The frequency of these appointments may reduce after the recovery period, but it will be a while till it reduces to as less as once a year. Surgeons may advise tests like X-rays or CT scans during the follow-ups; these costs add up. Some surgeons may also charge a fee for follow-up sessions. Taking time off from work, for surgery and rehabilitation can make you lose pay and increase the financial burden. The solution is, you can ask your employer if facilities like disability insurance could be provided for. Disability insurance is a policy of partial payment to employees suffering from injury or disability. If you belong to a profession that allows you to work from home, it may be wise to install a workstation at home before you go under the knife. After going through the pre-op and post-op costs of knee replacement, a question you probably have is – what must be the cost of surgery? Sources: Industry data, Patient surveys. Cost estimate for private hospitals (excludes government and charitable hospitals). Does not include the costs incurred due to post-surgery complications. Includes cost of post-operative medication and physiotherapy. Let’s take, for instance, a patient finds it hard to afford the projected cost but is reluctant to compromise on quality and a successful outcome, what are the options? There are many ways to locate highly qualified doctors who are as qualified and experienced as the most sought after specialist in your city, but not so expensive. Analyze your post-surgery lifestyle needs. Ask yourself if you require an implant that provides a higher degree of flexibility but costs more, when all you intend to do are simple physical activities like walking. Question your doctor if you really should go for an implant that promises a 25-year implant life but costs much higher than a normal implant. Do you need to have a private room and a full-time nurse? Can you consider undergoing your surgery by an expert doctor in a hospital that does not provide luxury services like five-star hotels? You may be able to help yourself greatly by preparing yourself for surgery, both physically and mentally. Few helpful tips include engaging in pre-operative physiotherapy; taking a balanced diet; maintaining blood-sugar levels, in case you have diabetes; and quitting smoking. The coverage of Knee replacement cost through government schemes varies from state to state. While some states have programs that provide coverage to support either full or partial cost of knee replacement, some states do not. There is also a rise in demand since advanced-stage arthritis can render a person near immobile and lead to severe disability; government schemes should provide coverage for this procedure so even low-income families can afford to undergo the procedure. The government of India provides a number of health insurance schemes for families below poverty line. However, most of them have medical coverage of only 30,000 to 40,000 rupees per year. If you already have medical insurance, then the good news is that most of the medical insurance companies in India now cover knee replacements. However, such claims are only accepted provided the policy had commenced 2 to 3 years before surgery; especially in cases with degenerative conditions like arthritis and osteoporosis. Patients need to talk to their surgeon beforehand and acquire all the essential documents. Authorization from the medical insurance company is required before you schedule your surgery, for them to validate the claim. It may be prudent to find out, how much of the cost will they reimburse. Although it might not be the total amount, it surely makes the treatment affordable. If knee replacement cost is the primary consideration that is coming in the way of your aspirations to live a pain-free and active life, a little effort can help you find an optimal treatment option that does not compromise on quality and care. 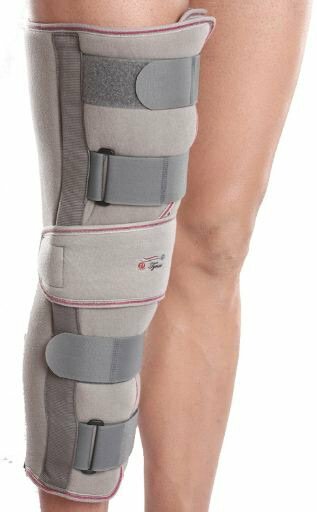 Knee Replacement, Osteoarthritis chronic knee pain, knee pain, knee replacement, knee replacement cost, knee replacement surgery, knee surgery, Surgery Cost. permalink. Thank you so much for the information . We recently had knee replacement done for my mother for both knees at primus hospital Delhi. Would request if you could elaborate little on the physiotherapy after the operation. Sure, we will cover this soon! Hi Abhinav, We’re also planning a TKR for my mother at Primus Chanakyapuri, New Delhi. We’ve consulted Dr. Surya Bhan. How was your experience? Is your mother OK now? What was the total cost for you? Despite the central government reducing the cost of implants to Rs. 2.1 Lacs, the total estimate for the surgery is approx 7-7.5 Lacs (Private Room).